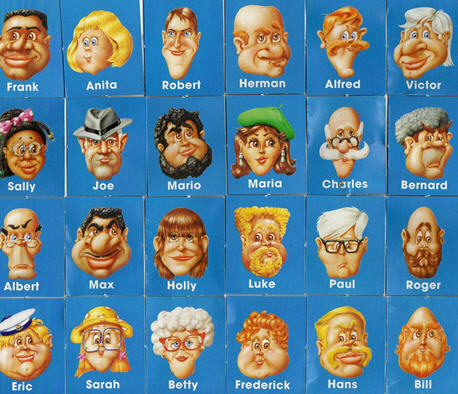 Based on the very popular game "guess who", I tend to use this when I teach feature-related vocabulary. My students tend to like it, be it kids or adults. You can describe the people on the sheet first one by one, then either work in pairs or 2 groups.